A poem of Jeff’s, “Training the Enemy,” was just accepted for publication in Pine Mountain Sand and Gravel volume 20, Appalachia: Stay or Go? 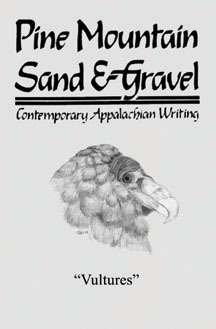 Pine Mountain Sand and Gravel is a publication of the Southern Appalachian Writers’ Cooperative (SAWC). SAWC has met (almost) annually since 1974. Through its annual October writers’ gathering, a SAWC Summer gathering at Wiley’s Last Resort on top of Pine Mountain in Whitesburg, KY, local readings and the literary magazine, Pine Mountain Sand and Gravel, SAWC continues its original mission to foster community among and encourage publication of Appalachia’s writers. Volume 20, with Jeff’s poem, will be out in October in time for the Southern Appalachian Writers Collaborative Fall Gathering, October 20-22, 2017 at Highlander Research and Education near Knoxville TN. More info here: http://www.sawconline.net/writers-gatherings.html. Way to go, Jeff. A poet, too!! Thank you! I actually started with poetry before expanding into first creative nonfiction and then fiction. I hope all’s well with you!